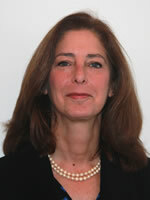 Alesia is a labor and employment law attorney with more than 25 years of trial and transactional experience. She skillfully represents companies, executives and employees in federal and state courts and administrative agencies in connection with employment agreements, employment termination, severance arrangements, allegations of discrimination and harassment, breach of contract, wage and hour violations and other employment-based claims. Alesia also guides corporate management and in-house counsel on a wide variety of employment and human relations issues including hiring, termination and disciplinary actions. In addition, Alesia routinely drafts employment-related agreements as well as corporate policies and handbooks, investigates complaints of sexual harassment, discrimination, retaliation and wrongful treatment, and conducts training for managers, supervisors and employees on avoiding sexual harassment and other discrimination-based claims. As well as her employment law background, Alesia has significant experience representing businesses in commercial transactions and disputes. Copyright © 2015 Winslett Studnicky McCormick & Bomser LLP. All rights reserved. All content on this site constitutes attorney advertising and is subject to the Disclaimer.